Sometimes convenience comes in small packages. Felt-lined, well-padded, and with a pair of stashable handles and an extra pocket for accessories, this quietly attractive sleeve works well as a stand-alone or as an accessory to a larger bag. Not just your average sleeve. 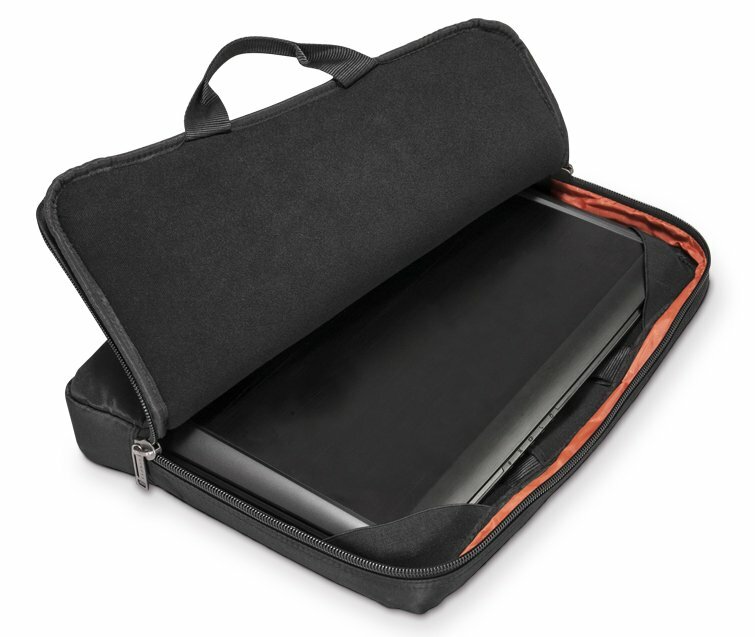 The Commute provides extra protection for laptops up to 18.4-inch carried inside another bag or independently with its clever stow-away handles. Elastic corner guards keep zippers away from your laptop and also maintain the most effective positioning for the Commute’s advanced memory foam padding, designed to absorb bumps and shocks. The soft felt interior lining helps prevent scratches. I have an Asus G74 and most 17.4" as well as 18" laptop cases are too small. This 18.4" laptop sleeve is a PERFECT fit for the Asus G74 laptop. It's a snug fit and the soft interior material is sure to protect the laptop from any scratches. The product is VERY well made. Top quality materials. The case handle is made from very durable and heavy duty material. Velcro straps are also very heavy duty and the outside material is what you would expect from laptop cases twice or triple the price. The Memory foam is dense, but forgiving. It makes for a nice cushion between the laptop and the outside world. Overall, I am VERY impressed and would not hesitate to purchase another in the future. I highly recommend this because you will be hard pressed to find another product in this price range with this quality. 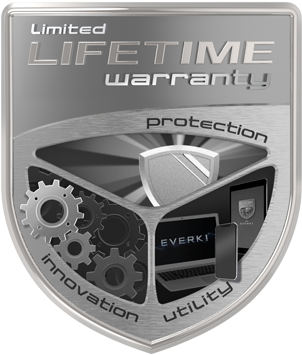 On top of it all, you have a limited lifetime warranty. Now that's standing behind your product.